Creating a stunning entrance to the outdoors is so easy when you opt for aluminium patio doors in Aldershot. These spectacular home improvements make a great investment and will enhance your property in many ways. 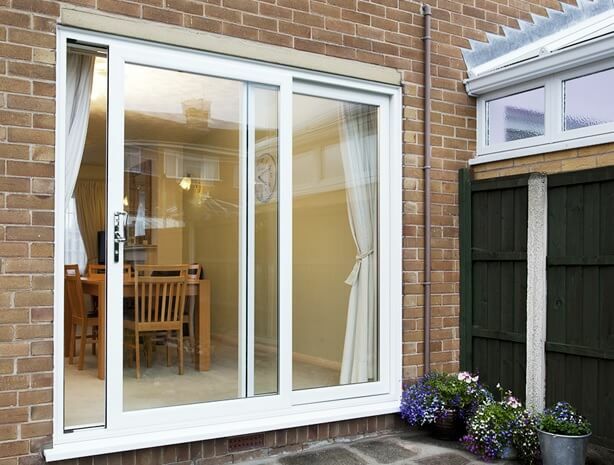 Aluminium patio doors are cost effective options for opening up your home to your garden. They are long lasting, never needing much more than the occasional clean to keep them in perfect condition. Here at Jewel Bi-Folds, we are sliding doors specialists, working with expert installers to make the most of your property with our aluminium doors. Aluminium patio doors will completely transform your property, whether you are choosing them as a new installation or as a replacement patio door. 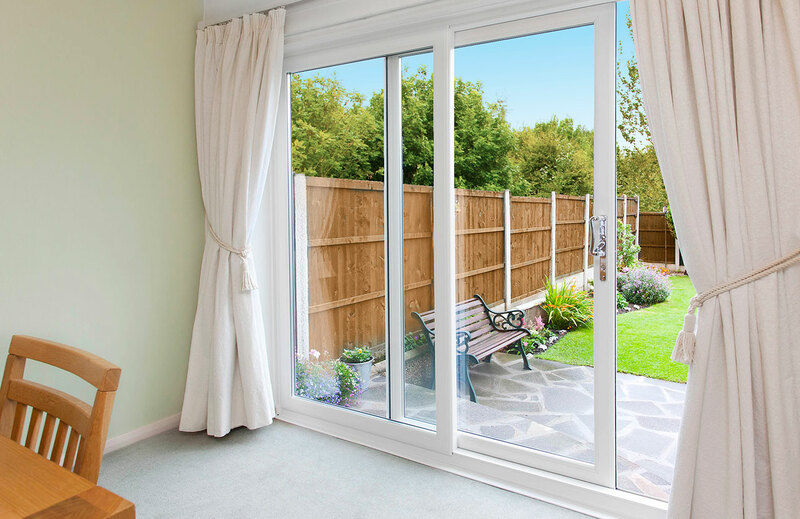 Take a wander through our fantastic options for spectacular aluminium patio doors in Aldershot. We work with top manufacturers to offer our Aldershot customers the very best patio doors in the double glazing industry. This means that you get a choice of aluminium patio doors prices as well as performance and style. Our collection is fantastic, prioritising performance complete with a perfect aesthetic for your home. Our Smarts Visoglide patio doors are outstanding. They offer superb style for your home, as the incredibly slim profiles come in a range of finishes, powder coatings and even a natural wood effect. With these aluminium patio doors, you can create the most beautiful entrance to your outside space. The functional gliding system is easy to operate and features the best materials and technology available, so you get many years of smooth opening. These stunning aluminium patio doors look good, and they are also high performance. Our Smarts aluminium doors are intelligently designed to offer superb thermal performance, keeping your home warm no matter how cold it is outside. They are more than capable of the Building Regulations requirements for energy efficiency, and could even be beneficial to your property’s EPC rating. They are also fantastically secure, using the natural strength of aluminium to maximise the protection these patio doors offer as well as internal beading on the glazing. Internal beading makes sure that the glass cannot be removed from the outside, giving you great security. Our Smarts aluminium patio doors in Aldershot will really help your home to reach its full potential. These premium double glazed doors are really ideal for high end home improvements. 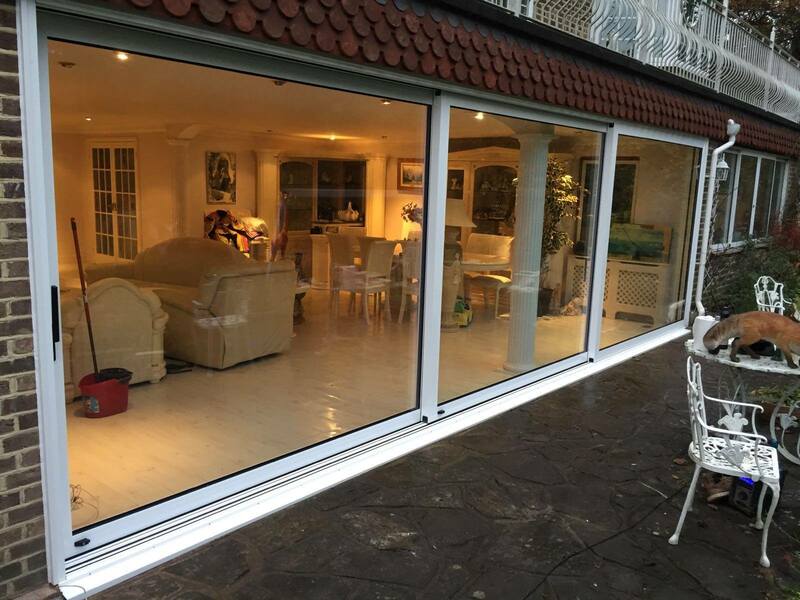 Our collection of aluminium patio doors in Aldershot also includes the Air Sliders 500LS and 600LS systems to ensure that you have choice when it comes to your home improvements. These incredible sliding doors are the ideal solution for your Aldershot home when you are looking for a beautiful entrance that offers the very best security performance. The robust and durable aluminium doors from Air Sliders feature the very latest security technology available and are even capable of Secured by Design accreditation. That means that they have been rigorously tested to ensure they will protect your family home from even the most determined potential intruders. Our Air Sliders aluminium patio doors offer exceptional weatherproofing too, protecting your home against our harsh British weather systems. No matter if it is bitterly cold or blisteringly hot, our aluminium patio doors will never warp or rot and the finish will not blister, peel or fade. Even torrential rain and gale force winds will be unable to get through these impressive sliding doors and into your home. Our aluminium patio doors in Aldershot are also thermally efficient, ensuring that cold transfer and heat loss is minimised. This helps your home to stay warmer for longer. You could even find that you need to use less heating and save on your energy bills. Air Sliders sliding doors come in a vast range of colour finishes, ideal for reflecting your personality and complementing the architecture of your property. These stylish doors can blend in with any style of home, from traditional to contemporary. We make aluminium patio doors to match your budget. Find out what savings you could make at our online quoting engine where you are sure to find something to choose from, with so many options available. Create your dream sliding doors and find out their costs. You can also contact us and our helpful team will give you all the advice and guidance you need on aluminium patio doors in Aldershot.